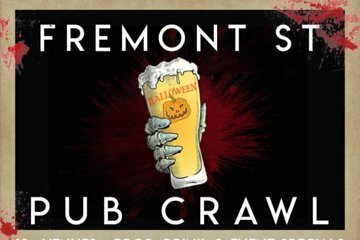 This Halloween, enjoy food, drink, and event specials from over 10 participating venues along Fremont Street in downtown Las Vegas during a self-guided pub crawl. After picking up your wristband, you’ll have from noon to midnight to run from bar to bar and take advantage of exclusive perks. A map of the participating venues is provided, so you won't miss out on any of the Halloween fun. You must be 21+ years of age with a government-issued ID to attend.